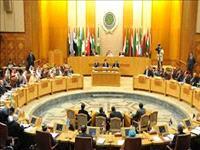 AMMONNEWS - The Arab League at the level of foreign ministers hailed efforts of His Majesty King Abdullah II to protect and defend the holy sites in Jerusalem as their custodian. The bloc, which concluded its 150th ordinary session meeting, dubbed "The Palestine Cause and the Arab-Israeli Conflict" held late Tuesday, reiterated its rejection of all Israel's attempts, as an occupying power, to tamper with the Hashemite trusteeship. During the session, the Arab foreign ministers also praised Jordan's role in persevering the Islamic and Christian holy sites in Jerusalem within its historical Hashemite custodianship, which was confirmed by the agreement signed between King Abdullah II and President Mahmoud Abbas on March 2013. The League stressed support for the role of the Jordanian Ministry of Awqaf over Jerusalem endowments aimed to preserve the city's places. On the Israeli "Basic Law," the League strongly condemned it as "unprecedented racist bid," which aims to eliminate the historical, cultural, religious and political rights of the Palestinian people, including the right of refugees to return to their homeland and to obtain compensation. As for the Palestinian refugees, the bloc said this issue is the heart of the Palestinian cause, stressing its rejection of any move by any party, including the United States and the Israeli government, to undermine that right. The ministers in the meeting also condemned the Israeli occupation court's decision to demolish Al-Khan Al-Ahmar village east of Jerusalem as well as the displacement of its residents. On Gaza, the League stressed the importance of implementing the resolutions of previous Arab summits, especially the Arab Development Summit "Kuwait 2009" and the Afro-Arab summit " Sirte 2010", on ending the Israeli siege and reconstruction of the coastal enclave. On UNRWA, the League welcomed Jordan's efforts to hold a conference to support the Agency in New York on September 27, which will be co-chaired by Jordan, the Kingdom of Sweden, the European Union, Japan and Turkey, calling on countries and donors to participate in this key event.